>> Memorial Middle School located at 2610 N. Moorefield Rd. in Mission. >> Donna Recreation Center located at 307 Miller Ave.
>> First Baptist Church at 600 S. Kansas in Weslaco. Hidalgo County Emergency Management personal continue to wait for heavy rain as a tropical disturbance slowly moves into the Rio Grande Valley. County officials said at a 3 p.m. news conference that they expect to see heavy rain later this evening. The county has not received the equipment it has requested from the state. Gov. Greg Abbott’s state disaster deceleration earlier Friday will make it easier to obtain the equipment needed, including large pumps. In anticipation of tonight’s expected rain fall, more shelters are opening their doors to Hidalgo County residents in need of refuge. Residents can go to the Donna Recreation Center located at 307 Miller Avenue in Donna and the First Baptist Church located at 600 S. Kansas in Weslaco. The McAllen school district announced the cancellation of after school programs including Parks and Recreation, Boys and Girls Club and Safe and Secure. No cancellations have been scheduled for regular classes and athletic events. The city of McAllen has been double-checking its drainage systems and distributing sand bags as a tropical depression approaches. The city has a year-round shelter at the Salvation Army at the corner of Pecan Boulevard and 23rd Street, which is open and available for anyone of interest as the storm takes shape. Kevin Pagan, the city’s emergency management coordinator, said if need be, the city will call on the Red Cross or the food bank for shelter assistance. Sandbags are being distributed at the city’s recycling center on North Bentsen Road. In areas where mail carriers can’t safely access mailboxes, due to flooding or other problems, customers’ mail will be returned to their delivery unit and may be picked up at their post office during normal business hours, the United States Postal Service said in a news release. Currently, all post offices in the Rio Grande Valley are fully operational, with no reports of significant storm related problems. Should the situation decline over the weekend, as expected, this could impact the mail delivery. Decisions regarding mail delivery service will be made on a location-by-location basis, depending on the severity of conditions. Customers with questions or comments about their mail service can contact their local post office. Customers may also call (800) 275-8777 or send an email to the Postal Service by clicking on Customer Service at the bottom of the Postal Service’s www.usps.com home page. Donna City Hall is closed and will resume regular business hours on Monday. The school districts of Donna and Mission are also having early release for all of their students. 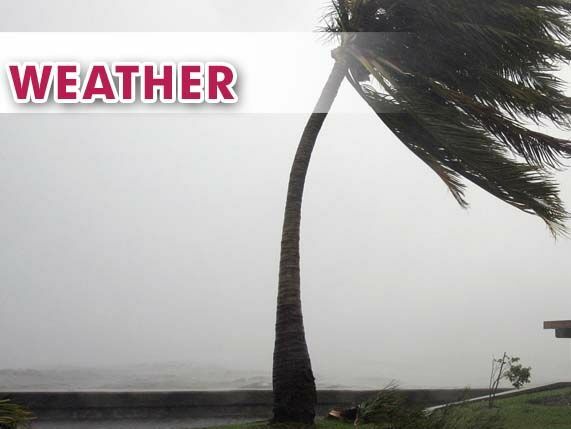 In Donna, elementary students will be released at 1:30 p.m. and secondary students will be let out at 2:30 p.m.
Mission school district will also offer early dismissal for parents that can pick up their children. Elementary students will be out at 1 p.m., while junior highs and high schools will let students out at 1:30 p.m. The district will keep regular-time bus transportation routes open for children that cannot be picked up early by their parents so long as roads remain open. The city of Mission activated its Emergency Operation Center and its severe incident call center will begin taking calls. That number is (956) 580-8766. Residents are asked to call that number for non-life threatening weather emergencies such as flooding, power outages, sewer back-ups, trees down, etc. For life threatening emergencies, residents should call 9-1-1. >> Middle school students will be released at 1 p.m.
>> Elementary school students will be released at 1:30 p.m.
>> High school students will be released at 2 p.m. In addition to early release, all after-school activities and UIL activities have been cancelled for today and Saturday. This includes the Weslaco East vs. Brownsville Hanna varsity game scheduled for tonight. In anticipation of a tropical disturbance bearing down on South Texas today, Gov. Greg Abbott issued a state disaster declaration for Hidalgo, Starr, Cameron and Willacy counties. The Rio Grande Valley counties are four of 77 included in the declaration the governor anticipates will be impacted by “severe weather and flooding” as the disturbance nears. Abbott previously ordered the Texas State Operations Center to advance to level II readiness for “escalated response conditions” in preparation for a storm.